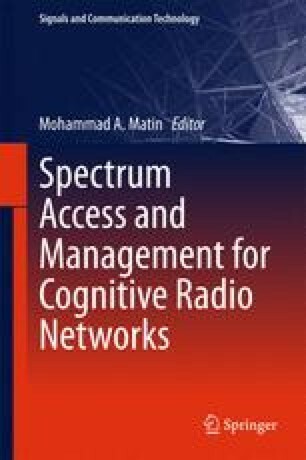 Cognitive radio (CR) technology is a potential solution to the spectrum scarcity problem. In CR systems, the availability of the licensed spectrum portion is monitored by the spectrum sensing process and strategies are applied to use this licensed portion without interfering with active primary users (PU). CR provides a flexible system that secondary users (SU) can make decisions about the spectrum usage at any time by simply configuring corresponding transmission parameters. However, implementation of CR systems can be a challenging task due to characteristic difficulties of the wireless channels introduced by fading. Especially spectrum sensing process is affected by changing channel conditions, which should be considered in order to create a high performance CR system. Robust spectrum sensing is essential for a CR system due to its vital role in the efficient usage of the spectrum. Therefore, several algorithms that are proposed for this issue should contain suitable properties considering realistic channel conditions. Implementation of these algorithms can be realized through software defined radios (SDRs). SDR is a core component of the CR technology and it allows a practical development process with modification on the software rather than hardware. Thus, SDR based approaches to CR problems are quite effective. In this chapter, the state of the art of CR systems are explained in detail by highlighting essential components of the existing studies. Effective approaches to the implementation using SDR systems are given. Moreover, an energy detection based spectrum sensing implementation for 2.4 GHz ISM band is given as an implementation example and channel based spectrum usage is analyzed by using SDR tools LabVIEW and NI USRP-2921 hardware in real-time.